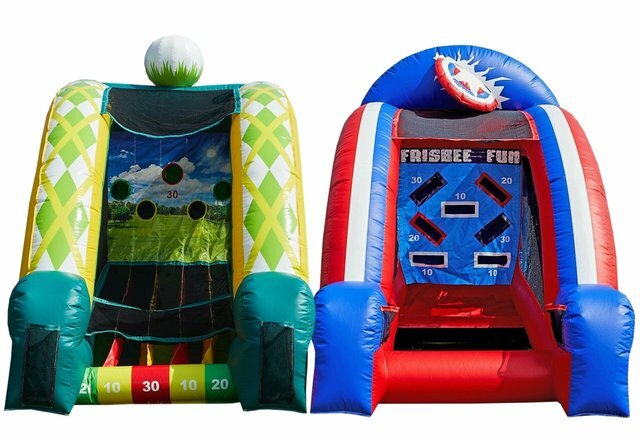 A Golf game and a Frisbee game are a great combination to keep your guest entertaint, without a doubt are some of the most popular carnival games available. If you have a hard time choosing between a great frisbee game, or a friendly golf game... don't worry, you can have both on this combination. 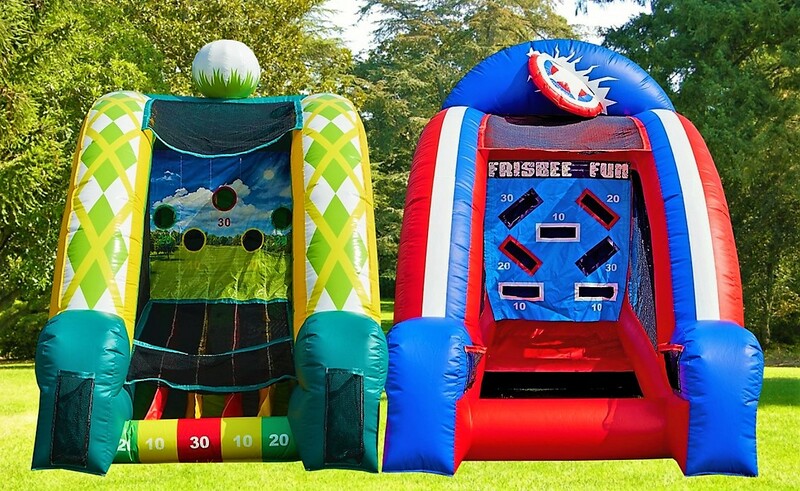 But don't stop there... add more inflatable interactive games such as basketball, soccer darts, baseball, or may be you preffer an obstacle course or an inflatable slide.